South Africa is undoubtedly one of the most beautiful countries on Earth. With its dramatic coastlines, iconic mountains and abundant wildlife, it’s a travel Instagrammer’s fantasy — and the ideal antidote to feeds full of mirror selfies and mediocre meals. Perhaps you’re a fashion blogger looking for a striking backdrop for your latest outfit. Perhaps your specialty is wildlife, or landscapes, or five-star food. Whatever you want in front of your lens, you’ll find it at its best in South Africa. In the south of the country, Cape Town is South Africa’s cultural heart. 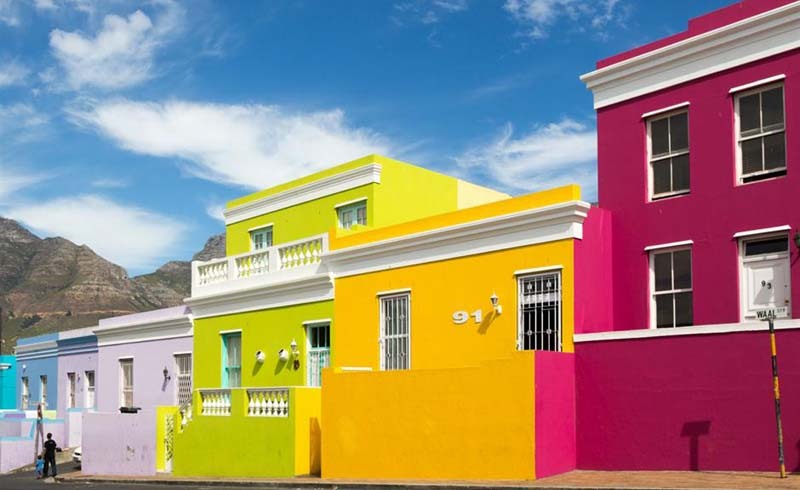 The possibilities for perfect Instagram shots are endless — think vineyard rows and Cape Dutch wineries, pastel-colored Bo Kaap houses and stunning V&A Waterfront vistas. If it’s breathtaking scenery you’re after, you’ll find it around every twisting bend of the famous Chapman’s Peak Drive, with its plunging cliffs and shimmering Atlantic panoramas. Of course, the most Instagrammed spot in Cape Town (and South Africa) is Table Mountain. Its iconic silhouette can be seen from almost anywhere in the city, each time offering a new perspective. For the best shots, take a drive to Blouberg Beach for uninterrupted views of the mountain across Table Bay. 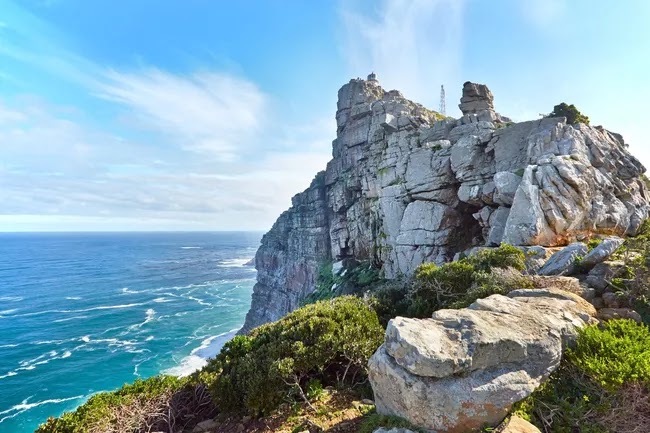 Just south of Cape Town city center lies the rocky promontory known as Cape Point. It isn’t (as many visitors think) the southernmost point of the African continent — for that you’ll have to drive approximately 155 miles/250 kilometers southwest to Cape Agulhas. However, it is Africa’s most southwesterly point, and, more importantly, it’s by the far the most picturesque of the two capes. There are an old funicular and two lighthouses. Take the Lighthouse Keeper’s Trail to the new lighthouse for the best views looking back at the original structure perched 780 feet/ 238 meters above sea level on top of the towering cliff face. Other Instagram opportunities include the resident Chacma baboons, and the stunning views and gourmet food at Two Oceans Restaurant. After Table Mountain, Kruger National Park is the most Instagrammed spot in South Africa — and for good reason. 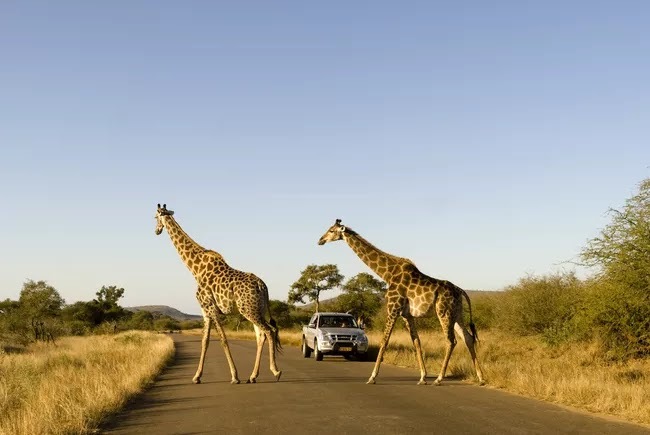 Covering an area of approximately 7,500 square miles/19,500 square kilometers, it’s one of the largest game reserves in Africa, and undoubtedly the most famous in South Africa. It’s home to the Big Five, as well as countless other Instagram-worthy mammals, bird and reptile species. Dress up in your best khaki for classic safari shots in an open-top jeep, with elephants and giraffes strolling casually by in the background. Of course, there are also plenty of photo opportunities to be had at your Kruger accommodation, whether you choose a rustic wilderness camp or a luxury lodge with breathtaking waterhole views. 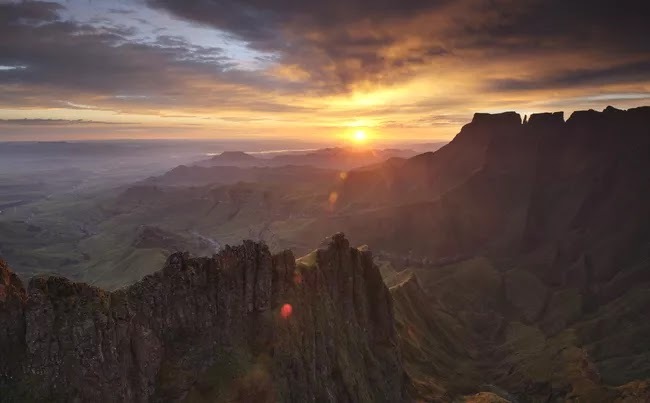 Stretching for more than 620 miles/1,000 kilometers along the Lesotho border, the uKhalamba-Drakensberg mountain range is the highest in South Africa. 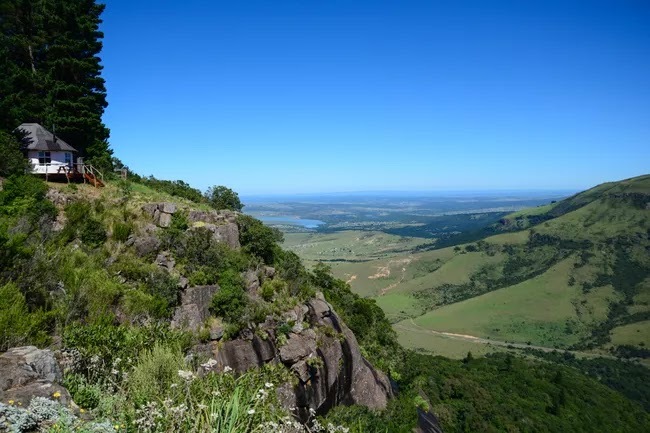 National parks including Maloti-Drakensberg and Royal Natal National Park are littered with hiking trails, all of which offer jaw-dropping panoramas filled with towering escarpments, plunging valleys and soaring peaks. Waterfalls and rivers add to the natural splendor, while ancient San rock paintings and rare wildlife are guaranteed to impress your Instagram followers. For the best views, plan a hike to Amphitheatre, Giant’s Castle or Cathedral Peak. Don’t feel like walking? Drive through Sani Pass, a truly spectacular mountain road connecting Underberg with Mokhotlong in Lesotho. 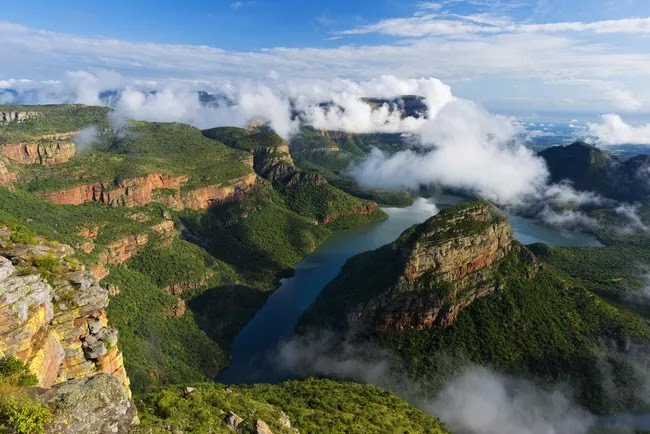 Blyde River Canyon lies at the northern end of the Drakensberg escarpment in the province of Mpumalanga. After the Grand Canyon and the Fish River Canyon in Namibia, it is thought to be one of the largest canyons on Earth — making for suitably superlative Instagram material. At the bottom of the canyon, the Blyde River is a vast silver snake, winding its way through fantastic sandstone formations. The red color of the rock contrasts vividly with the green of the canyon’s vegetation and glows as though lit from within in the soft light of sunrise and sunset. The best photo opportunities include a set of dolomite columns known as the Three Rondavels, and God’s Window, a lookout with views that stretch all the way to ​Mozambique on a clear day. 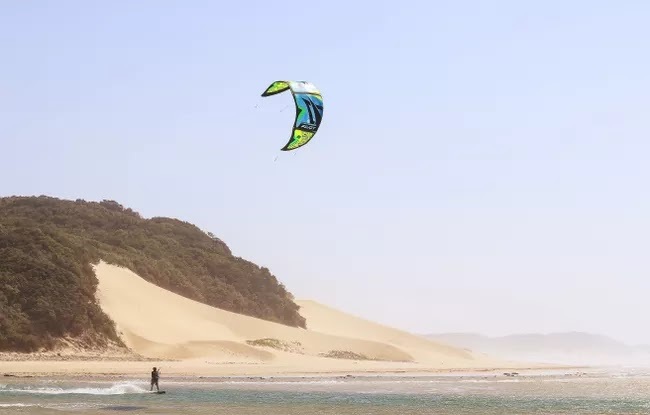 Often overlooked as a tourist destination, South Africa’s Eastern Cape province offers a wealth of Instagram-worthy spots for those willing to step off the beaten track. The idyllic mountain village of Hogsback is one such place. Expect forest trails and fairytale waterfalls, and photo-worthy meals served in quaint restaurants and bohemian B&Bs. The village’s most famous viewpoint is The Edge, a sheer cliff made for mesmerizing selfies overlooking the valley below. A few steps back from the viewpoint lies The Labyrinth, a maze-like pathway designed to encourage meditation and add a touch of whimsy to your images. For truly magical photos enhanced by trees in glorious shades of red and gold, try to time your visit with the South African fall (April to June). Of course, no Instagram feed would be complete without at least a few jealousy-inducing shots of tanned bodies on golden beaches. Durban has more than its fair share of sand, and the weather is bikini-friendly all year round. Take a stroll along the city center’s Golden Mile, stopping to snap photos of the resident sandcastle artists at work. 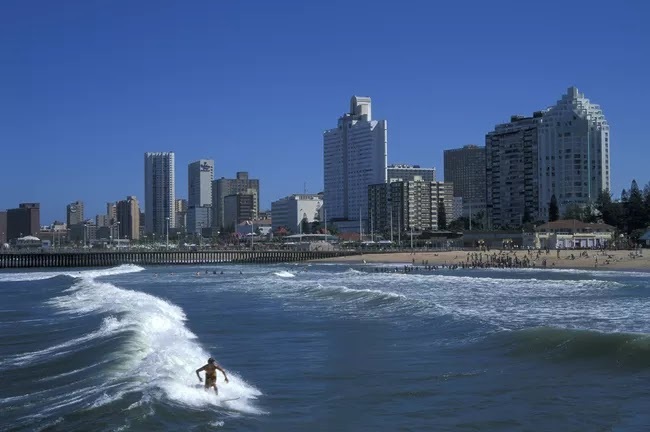 Surfing is a way of life in Durban, and if you head north to spots like Bay of Plenty and New Pier, you’re likely to get good shots of the pros in action. 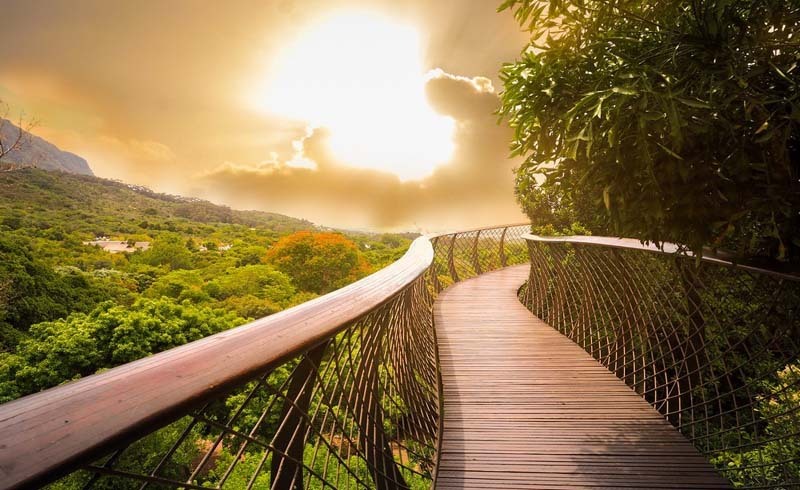 Durban is one of the most visited cities in South Africa, however, so if you want stand-out Instagram photos you’re going to have to find a new perspective. Get an aerial view of the coast from the top of Moses Mabhida Stadium, or look back at the skyline from the end of uShaka Pier. 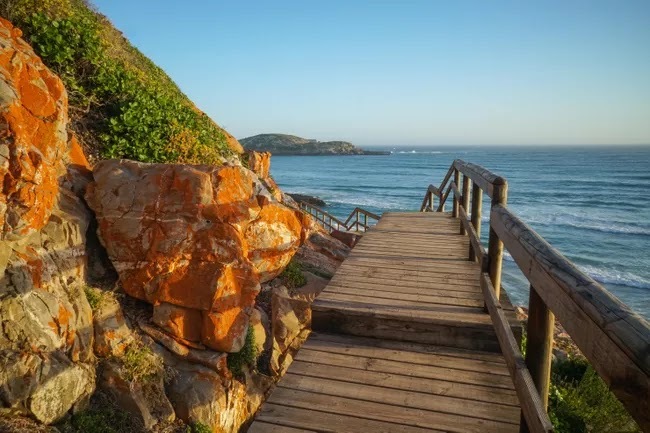 The Garden Route stretches for over 125 miles/ 200 kilometers between Mossel Bay in the Western Cape and Storms River in the Eastern Cape — so it’s not exactly a single place. However, if you’re looking to tick off a long list of Instagrammable places in just a few days, start at one end of the coastal route and drive all the way through. Stop in Wilderness for dreamy shots of abandoned beaches, or in Knysna for a foodie post featuring fresh oysters and fine wine. Tap into the adrenalin junkie following with bungee jumping photos from Bloukrans Bridge (the highest bridge bungee in the world). Tsitsikamma National Park is a paradise for wildlife photographers, while the suspension bridge at Storms River offers another instantly recognizable South African backdrop.